After I posted about my summer vacation - i.e. 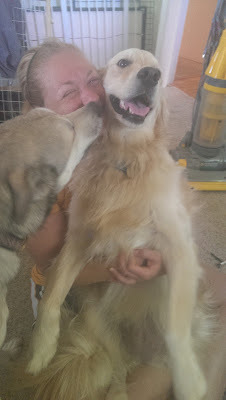 all of my worries that I am not doing as much as I could - I plopped down next to Joe to play with my pups. Really, who wouldn't feel better with this double bundle of love? Crisis averted! Awww. I barely recognized Sam all fluffy and dry!